Did you know self-care is vital to the success you have in life and that bullet journaling can help you with that? There are many ways to define self-care, but my definition encompasses all aspects of boosting your health: personal, physical, psychological, and emotional. People who want to focus on bettering their lives, improving their thoughts, and gaining control of their actions may want to start a BuJo. It’s not only a good habit that helps you get to know yourself, it’s also a habit that helps you change the way you live and think. 1. Work Through Your Feelings When Emotions are unruly. And when your feelings are all tangled up in a messy, confusing ball, trying to make sense of them can be exhausting. Journaling is a great tool for unraveling those tangled emotions and getting to the bottom of them. When you sit down and pour your feelings onto the page, it becomes easier to distinguish between them and see what’s really going on. That, in turn, will help you manage your emotions more effectively and make better decisions. 2. Explore Your Dreams for the Future. When you’re preoccupied with the demands of life, it’s easy to get stuck in the moment and forget to dream about the future. If you’ve stopped making plans for what you want your life to be like five years from now, keeping a journal can help you start dreaming and setting goals again. With your journal, take fifteen minutes to reflect on what kind of life you want to live in a year, five years, or ten years. Use your answers to help guide your decisions in the present. 3. You Can Show Your Gratitude. Keeping a gratitude journal can have a transformative effect on your life. Regularly reminding yourself what you’re grateful for is a fantastic act of self-care – it’s good for your mental health, and it helps you feel happier and more optimistic on a day-to-day basis. Before you go to bed every night, try jotting down five things you felt grateful for over the course of the day. 4. Journaling Helps Calm You. Your Mind If you feel anxious, panicky, or overwhelmed, spending a few minutes with your journal can help you calm down and get some perspective. Responsibilities, deadlines, and worries can all seem enormous when they’re trapped in your mind. When you write your anxieties down on paper, though, they become much easier to manage. Even if your schedule is packed, taking a few minutes out of your busy day to journal will help you keep your stress levels down. 5. Provides You a Private, Safe Space. The thing about a journal is it’s OK to keep it private. It’s not for anyone else but you. You might take great care in posting status updates on Facebook or composing emails to friends, but you’re not required to be careful with what you put in a journal. You’re allowed to write down anything that’s on your mind, and that’s what you should do. Don’t worry about your handwriting, your incomplete sentences, or even your spelling. In fact, journaling allows you use rapid logging, symbols, and other shortcuts that may be just jibberish to anyone else. 6. You Will Be Kinder to Yourself. Journaling helps you find patterns – both positive and negative – in the way you think. If you notice that you tend to be self-critical in your entries, try consciously switching your tone to be self-compassionate instead. Rather than writing about how you did something wrong, make a note about what you did right, and frame your mistakes as things you want to improve in the future. Journaling is a simple – but highly effective – form of self-care. It puts you in touch with your innermost thoughts and emotions, and it helps you tweak your thought patterns to be more mindful and productive. The best part? You just need a notebook and pen to reap all the benefits of journaling. Why not give it a try today? 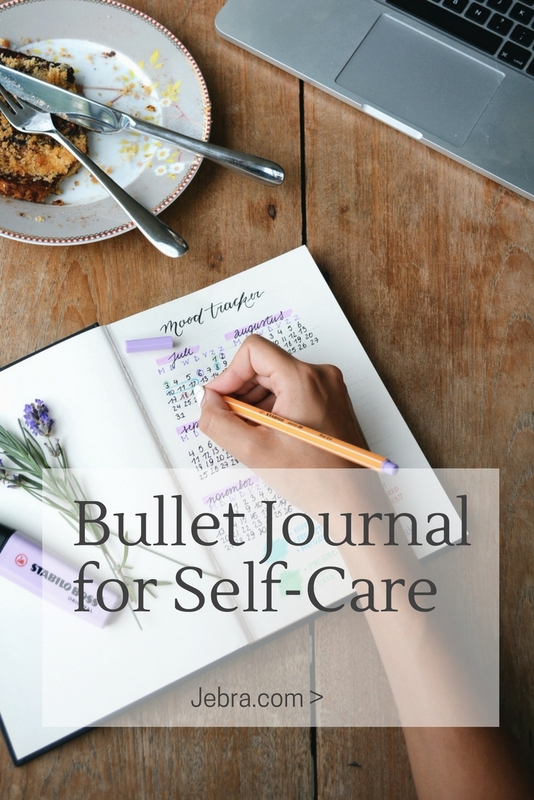 Any type of journaling provides self-care benefits, but a bullet journal offers some unique advantages. For one, the to-list and calendar sections help to organize your life and keep it in balance. Also, you can look back in your bullet journal later to learn about yourself based on the page layouts, habit trackers, collections, doodles, lettering, as well as the appearance of your scrawled handwriting, and so much more. You get to observe your own life, which can help you understand yourself far better, and maybe make needed changes. It’s a archive of your inner world. Bullet journaling is amazing when you have so much in your mind you can’t focus on anything else. When you feel overwhelmed and unhappy, go ahead and focus on the things that matter the most to you by writing down what’s in your mind and getting it out. All the little things that bothered you are now out of your mind and on a piece of paper, and you feel as if you worked through things. Now your mind is clear to focus on what matters. Write down your dearest hopes for the future, too. Don’t worry if your dreams are too big, too silly, too unattainable. If you put your dreams to paper, they seem more realistic and even more attainable. Perhaps you want to do something amazing like to find true love. Write it down. Perhaps your attempt at self-care will provide you with the bravery you need to get out there and make your dreams come true. Each day, try to write down at least three things you’re grateful for in your bullet journal. It can be something as big as being grateful for a roof over your head. It can be as small as being grateful you could squeeze out a bit more toothpaste from the tube this morning. It can be nothing that seems significant at all. Maybe you’re just grateful for coffee because it puts you in a good mood. Whatever it is, write it down. 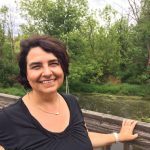 Want ideas for what to include in a gratitude list? 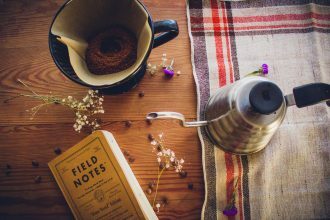 Set aside a page for a gratitude collection and list any items that come to mind in a brainstorm session or ones you see on other people’s bullet journal spreads. When you can see the things that you or others are grateful for on a tangible list, you’re able to focus on being very happy for those things during the day. You’re able to focus on what they mean to you, and you get to remind yourself how much you have to be thankful for any time you re-read your journal. Brainstorm ideas about you can improve your self-care in various areas of your life and list them in your bullet journal. Maybe you want to drink more water so that you stay hydrated. Or perhaps you decide to move more and sit less in spite of a sedentary job. These are examples of how you can care for your physical self. Make a similar list for your psychological, emotional, spiritual, or social self — any aspects of yourself that you want to nurture. Then see if you can track any habits that would support those changes. A water tracker may be as simple as doodling an outline of a glass and marking it in for every one you drink. If you like to decorate your bullet journal, there are many types of hydration stickers and stamps that will do the trick. Stress relief is a significant part of daily self-care. The days are long, and they are filled with moments that cause you stress. Everything causes stress if you allow it, but spending five minutes at the end of each day writing in your journal. Write whatever comes to mind. Write the alphabet. Write your name. Doodle things that come to mind. This is your way of relieving your stress by putting pen to paper or your fingers to your keyboard. Whatever it takes to ease your stress in five minutes is what you do. The world is filled with chaos, but there’s no reason your mind needs to be filled with chaos. Write it down. Whatever you’re thinking of, feeling, or experiencing in life is worth being put on a piece of paper. It’s self-care that doesn’t feel like much work, but it provides satisfaction you might not imagine possible. But journaling may not be enough if you’re just adding self-care as another To-Do item in an already busting-at-the-seams schedule. There seems to be some tension between the desire for self-care and productivity. A lot of people see the two as polar opposites. You’ve got the boho slacker on one end, sitting around on a beach and drinking Margaritas. And then there’s the boss girl, hustling all day long, breaking only for a quick vending machine snack at her desk. The world is constantly busy, constantly working, and still many people feel as if they aren’t as productive as they were in the past. It turns out too many people are trying to do too much at once, and it’s only making it more difficult to get anything done at all. It’s time to learn how the art of mindful self-care is useful in boosting productivity to make life easier. Because the truth is that there is no conflict between self-care and productivity. The two can certainly go hand-in-hand. Below are three quick ways that self-care can improve your productivity and help you achieve a greater sense of balance as well as achievement. There are a lot of people working themselves to the bone, yet they aren’t as productive as they’d like. In many cases, they are simply distracted. Learning to focus on where you are and what you’re doing is key. Many busy people never really get a chance to rest because they’re always thinking about work when they’re supposed to be resting, and vice versa. When it’s your day off, focus on your family and friends. Give them your attention and not just your physical presence. Throw yourself into your chores, your home improvement projects and your hobbies. Then, when Monday rolls back around, you’ll have a lot more energy and ability to concentrate on the tasks at hand. Multitasking is (surprisingly) a productivity killer. You’re barely aware of what you’re doing because your mind is juggling half a dozen other projects simultaneously. This is not the path to productivity and progress. A better approach is to go all in on a single task. If you could only accomplish one task today at work, what would it be? Once you’re aware of your highest priority for the day, set yourself to work on just that task. Close the door, shut off your phone and take a deep breath. Then dive down into that work and don’t come back up for air until it’s complete. In the same way that a meditation teacher at a retreat might ring a bell on occasion to draw your attention and focus, you can use phone apps or even just a simple alarm to help you find your center every hour. You can even use custom wallpapers for your phone and computer desktop that act as visual cues to bring your attention back to the moment. The next time you find yourself struggling to achieve balance between your work and personal life, use these simple mindfulness techniques to help you rest when it’s time to rest and to work when it’s time to work. Your productivity will improve in direct proportion to your sense of balance and rest in other areas of your life.